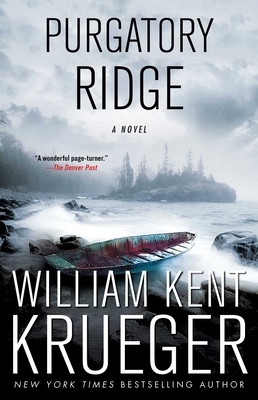 When mayhem descends on a tiny logging town, former sheriff Cork O’Connor is called upon to investigate a murder in this “wonderful page-turner” (The Denver Post) that “prolongs suspense to the very end” (Publishers Weekly) by Edgar Award-winning author William Kent Krueger. Not far from Aurora, Minnesota (population 3,752), lies an ancient expanse of great white pines, sacred to the Anishinaabe tribe. When an explosion kills the night watchman at wealthy industrialist Karl Lindstrom’s nearby lumber mill, it’s obvious where suspicion will fall. Former sheriff Cork O’Connor agrees to help investigate, but he has mixed feelings about the case. For one thing, he is part Anishinaabe. For another, his wife, a lawyer, represents the tribe. "Suspenseful, compelling, and highly readable." "The end of this masterfully plotted novel was such a surprise I'm still trying to figure out how Krueger did it."